BACKGROUND: There is growing interest in the relation between the brain and music. The appealing similarity between brainwaves and the rhythms of music has motivated many scientists to seek a connection between them. A variety of transferring rules has been utilized to convert the brainwaves into music; and most of them are mainly based on spectra feature of EEG. METHODOLOGY/PRINCIPAL FINDINGS: In this study, audibly recognizable scale-free music was deduced from individual Electroencephalogram (EEG) waveforms. The translation rules include the direct mapping from the period of an EEG waveform to the duration of a note, the logarithmic mapping of the change of average power of EEG to music intensity according to the Fechner’s law, and a scale-free based mapping from the amplitude of EEG to music pitch according to the power law. To show the actual effect, we applied the deduced sonification rules to EEG segments recorded during rapid-eye movement sleep (REM) and slow-wave sleep (SWS). The resulting music is vivid and different between the two mental states; the melody during REM sleep sounds fast and lively, whereas that in SWS sleep is slow and tranquil. 60 volunteers evaluated 25 music pieces, 10 from REM, 10 from SWS and 5 from white noise (WN), 74.3% experienced a happy emotion from REM and felt boring and drowsy when listening to SWS, and the average accuracy for all the music pieces identification is 86.8%(kappa = 0.800, P<0.001). We also applied the method to the EEG data from eyes closed, eyes open and epileptic EEG, and the results showed these mental states can be identified by listeners. CONCLUSIONS/SIGNIFICANCE: The sonification rules may identify the mental states of the brain, which provide a real-time strategy for monitoring brain activities and are potentially useful to neurofeedback therapy [emphasis added]. Power outages from storms prevented last Saturday’s post, so to make up for it today I bring you an exciting piece of research. You may remember that I recently posted an article about Homeland Security recording “brain music” and playing it back to first responders. And in this article, the researchers are proposing turning the brain’s waves into music and using this music both to monitor brain activity and using this music in neurofeedback therapy. This implications of this study are exciting in so many ways: first of all, for those patients in comas, vegetative states, or having sleep problems analyzed, this is great news. Although it may take decades or longer to fully comprehend how this works, I can see family members volunteering to listen to the music that the brains of coma or vegetative state patients produce, and listening for changes that would warrant calling for immediate medical attention. 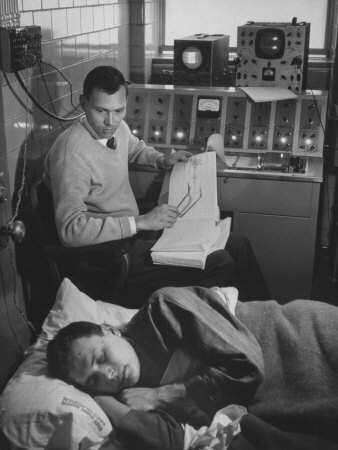 The music could be used in sleep clinics to analyze sleep patterns. Neurofeedback therapy is even more exciting and could involve recording the brain waves, translating them to music, “fixing” the errors, and then playing back the “fixed” recordings. There is, of course, always the danger that music could be consciously used to program our brains–but the fact is, every piece of music you listen to, every sound you hear, and every thought you think programs your brain in a way that is either healthy or unhealthy. The trick is to find the pieces of music, the sounds, and the thoughts that are healthy and take advantage of them.